Kangding (China): Residents stand on the road to avoid the earthquake in Kangding County, southwest China's Sichuan Province, Nov. 25, 2014. A 5.8-magnitude earthquake struck Kangding County, Ganzi Tibetan Autonomous Prefecture of southwest China's Sichuan Province, at 11:19 p.m. Tuesday, the China Earthquake Networks Center said. 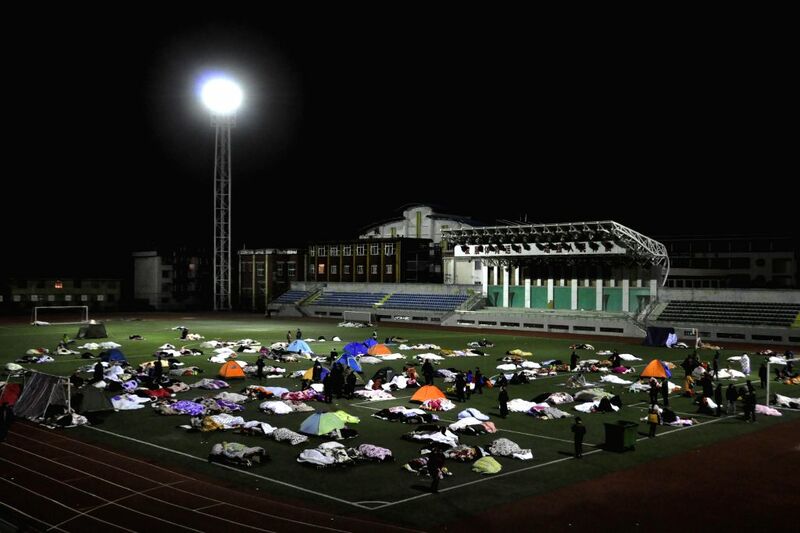 Kangding (China): Residents stay in a stadium to avoid earthquake in Kangding County, southwest China's Sichuan Province, Nov. 26, 2014. 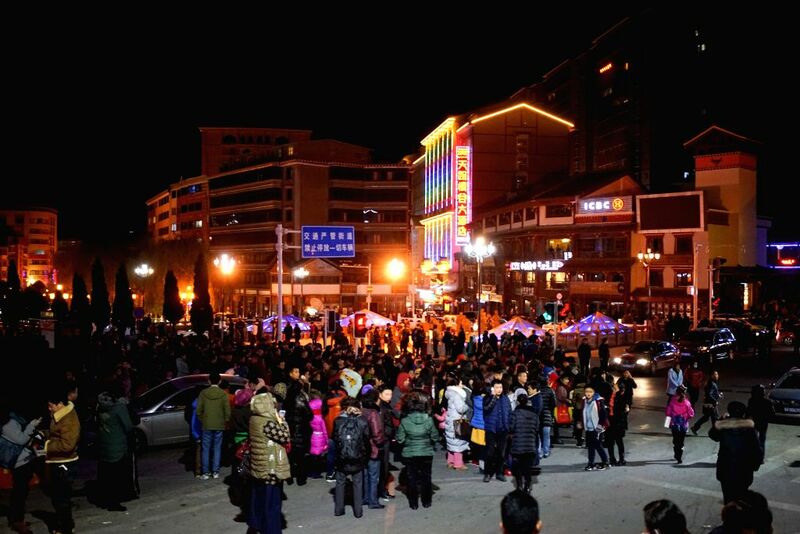 A 5.8-magnitude earthquake struck Kangding County at 11:19 p.m. (1519 GMT) on Tuesday. A 6.3 magnitude earthquake struck Kangding on Nov. 22.